We’re currently experiencing a significant increase in mobile data traffic which is only set to continue. More and more people are using smartphones and mobile applications, network speeds improve continuously, and mobile video consumption is growing exponentially. And these are just some of the factors that are having an impact. A similar trend can be seen when we consider WiFi. Nowadays, its use is ubiquitous, and there are staggering predictions about the number of connected devices that will soon be in action. But demand for wireless isn’t only being driven by people. The role of WiFi is increasingly being extended, moving away from being a simple method of connectivity to playing a strategic role as a support for communications between a wide range of devices. The IoT presents a significant opportunity for WiFi, which will be the dominant access technology to support implementation due to it’s superior suitability. Soon, more people will be using mobile phones (5.5 billion) than bank accounts (5.4 billion), running water supplies (5.3 billion), or lines of fixed telephony (2.9 billion). In order to keep up with the dizzying demand for connectivity, a significant proportion of global mobile data traffic is being offloaded over WiFi networks. As you might expect in this context, WiFi-based services are already widely offered by many operators. As well as leading to considerable cost savings, WiFi can also can open up new sources of monetization. Operators can generate additional revenues by offering WiFi connectivity to anyone who needs it (even non-subscribers) in public spaces such as transportation hubs, sports arenas, public squares, and even wholesale WiFi access to other businesses looking to keep their customers connected. WiFi also has the potential to improve connectivity experiences for end-users thanks to increased coverage, leading to a boost in customer loyalty and reduced churn. These benefits are already being experienced by operators around the globe, such as BT and Cosmote: Check out the case studies to find out more! WiFi has to be an integrated and customer-centric technology. Unfortunately, though many operators already offer WiFi-based services, they are frequently failing to get the most out of their deployments, and are missing the opportunity to provide an optimal user connectivity experience. In order to leverage the full potential of WiFi deployments, operators must first guarantee that they’re offering clients a connectivity experience that is similar in quality to, or better that of a cellular network. Failure to do so is likely to have a negative impact on service performance, and possibly even the reputation of the company. Operators must strive to assure that users are always connected to the best network without impacting their experience: In other words, in order to avoid poor connections, users should not have to make any changes to the network configuration on their devices manually.  To guarantee this type of high-quality connectivity experience, operators need advanced technology that is capable of identifying the best available networks, and connecting a user to them accordingly: such as Fon’s industry-leading Connectivity Experience Solution! Follow us on Twitter and LinkedIn for the latest news on the initiative, as well as industry trends.